LotFancy Roll Lock Sanding Discs, made of aluminum oxide, are superior in performance, anti-blocking, high abrasion resistant, waterproof, oil-proof, safe, and eco-friendly. Our Surface Conditioning Discs are torque spiral design with strong flexibility and long service life. Open nylon web (non-woven material) backing leads to better elasticity and plasticity, suitable for different shapes of various objects; and avoids overheating deformation or discoloration. 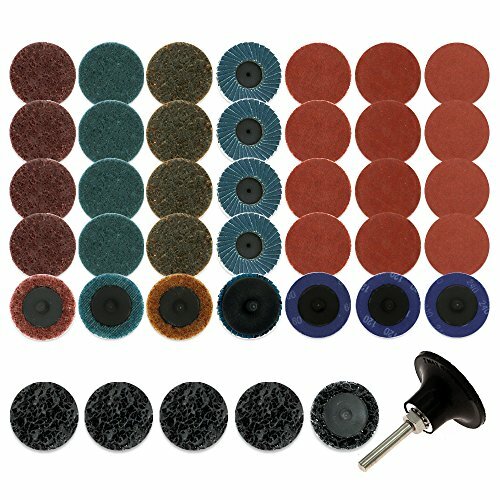 Fine/Medium/Coarse assortment pack can satisfy almost all your general polishing requirements. 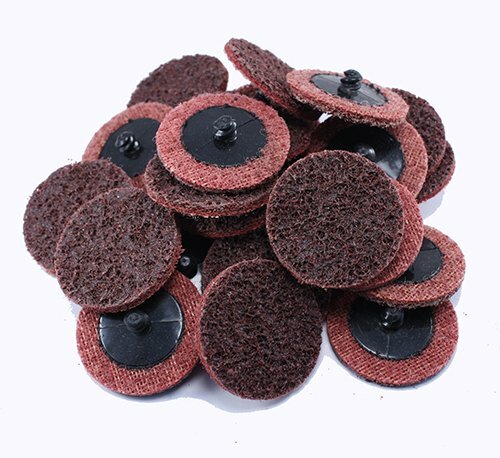 Aluminum oxide abrasive Discs are good choice for metalworking to fulfill cleaning, finishing, blending and deburring applications. Quick Change Discs are widely used to the metal polishing such as shipbuilding, repairer, aviation, machinery; and metal parts processing such as automotive, motorcycle sheet metal coating, medical equipment parts, etc. With good grinding effect, our Roll Lock Sanding Discs can quickly remove gasket materials, surface oxidation, light rust and coatings on various metals or plastic, fiberglass. Fits most angle die grinder in the market: Ingersoll Rand 301B, Ingersoll Rand 3101G, Chicago Pneumatic CP875, Astro 219, AIRCAT 6255,etc. 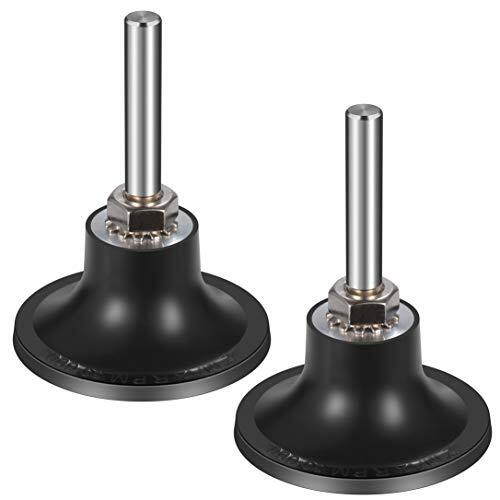 2 inch diameter holder (Pack of 2) for Roloc-type discs and pads. Heavy-duty rubber pad, aluminum core with nickel-plated removable steel shank. This sanding disk attachment with 1/4 shank fits power drills, die / air grinders and other power tools. Used in conjunction with a Roloc Disc, this combination worked superb in removing gasket material and general sealing surface cleanup on aluminum heads, intake manifold, water pump and other aluminum components. 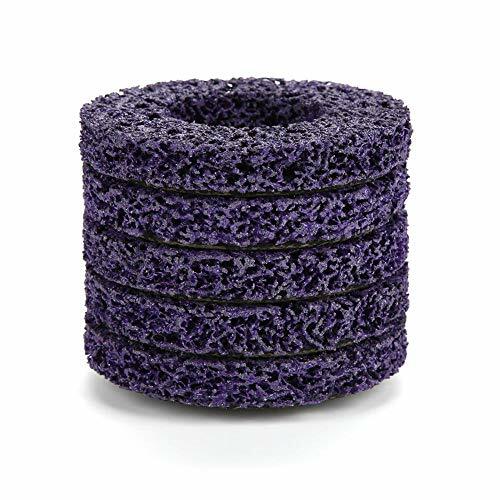 Great for polishing, sanding, surface preparation, bristle and other disc consumables. Rated 20,000 RPM, 1-1/2L shank, overall height 2-5/8; Also available in 3 inch diameter. Introducing the 2" Zirconia Plus Quick Change Discs featuring ActiveThe 2" Zirconia Plus Quick Change Discs featuring Active Grinding Aid by Black Hawk Abrasives are designed for metal stock removal, blending, deburring, leveling, grinding, sealant corrosion removal, finishing and polishing on flat or contoured surfaces and due to their small diameter, they excel in confined or hard to reach spaces. Their small size also allows them to do detail work more effectively than a larger grinder. These 2 Inch zirconia quick change sanding discs with grinding aid are constructed with premium closed coat zirconia grains which fracture throughout use, continually producing a sharp point to deliver a faster cut-rate than aluminum oxide varieties. The zirconia alumina abrasive grains are resin over resin bonded which makes the abrasive moisture-resistant, harder, less flexible, heat-resistant and has superior grain retention then other bonding methods. 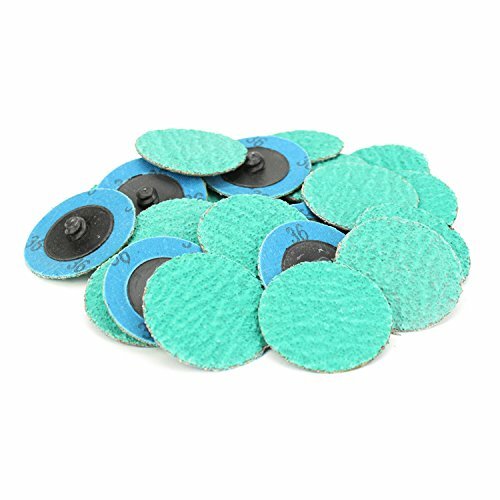 Additionally, these 2" zirconia quick change sanding discs come equip with an active grinding aid which prevents loading, and reduces heat buildup, which not only protects the work piece from staining or burning but keeps the disc sharper for longer. These discs are built on a heavy-duty, y-weight, polyester backing with the versatile, plastic, Type R (Type III) male roll-on, roll-off attachment system. These discs must be attached to a 2-inch backing pad and are designed to be used on power drills, die grinders or air grinding tools that accept " shanks. Zirconia plus grinding aid quick change discs are commonly used in the auto collision repair industry, and by metal fabricators and welders, or really anyone working with metal. 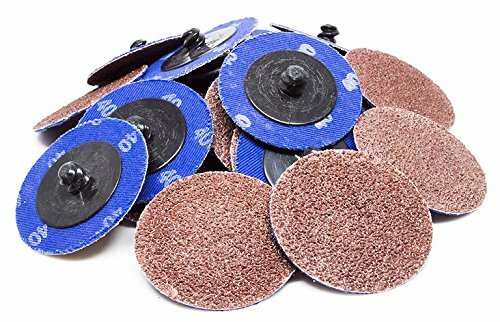 These 2 inch sanding discs with grinding aid are extremely effective on carbon steel, cast iron, titanium, aluminum, brass, bronze, copper or hard woods and can also be used on heat sensitive materials such as stainless steel, nickel alloys and cobalt alloys. Excellent for use carbon steel, cast iron, titanium, aluminum, brass, bronze, copper, or hard woods as well as heat sensitive materials such as stainless steel, nickel alloy or cobalt alloys. Feature Male Type R - Quick Roll On / Roll Off fastening system and are meant to be used with a 2-inch backing pad that can then be attached to any power drill, air grinding tool, or die grinder. 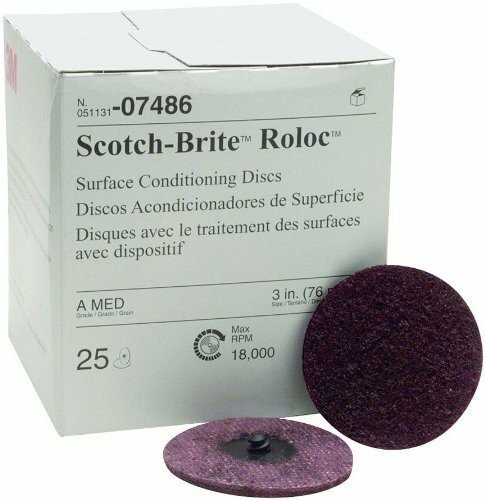 3M Scotch-Brite Roloc Maroon Surface Conditioning Disc is designed to quickly remove cut cork or gasket materials prior to the assembling of power train components. It is ideal for cleaning light oxidation and can be used on a wide variety of surfaces including engine blocks, heads, valve covers as well as transmission housing. With good grinding effect, our Roll On Sanding Discs can quickly remove gasket materials, surface oxidation, light rust and coatings on various metals or plastic, fiberglass. 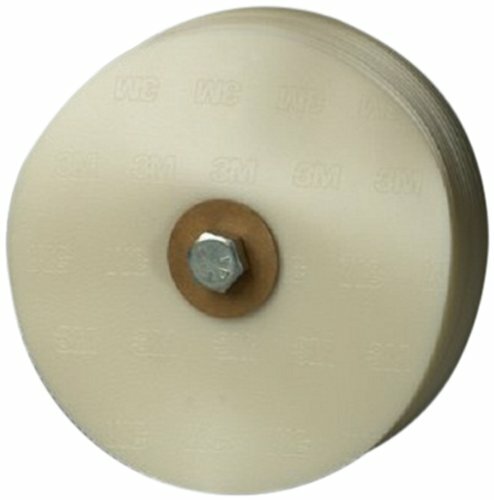 Replacement: 3M 07480, Sungold Abrasives 74904, etc. Fits most angle die grinder in the market: Ingersoll Rand 301B, Ingersoll Rand 3101G, Chicago Pneumatic CP875, Astro 219, AIRCAT 6255, etc. 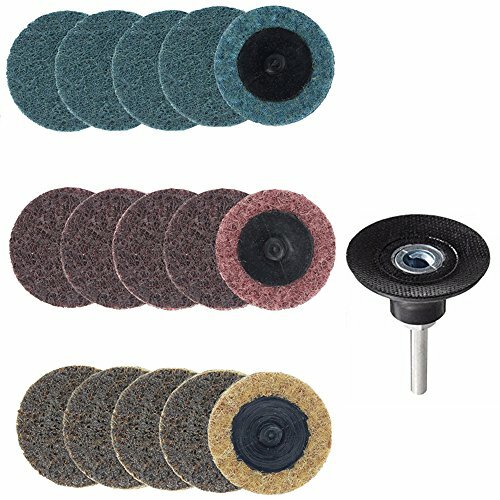 A very flexible and durable sanding disc combo kit to meet your different polishing and sanding needs. 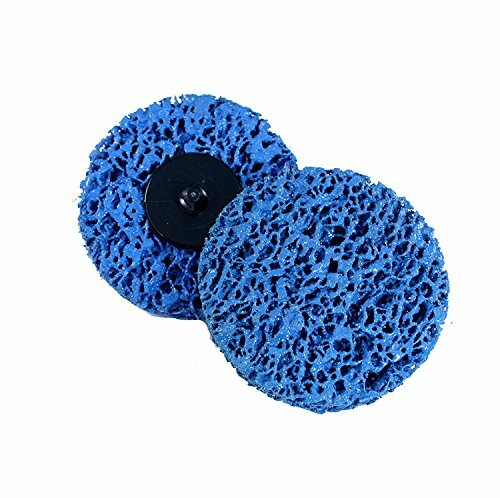 Silicon carbide sand discs are suitable for paint removal, rust removal, glue or adhesive removal, sanding, cleaning, deburring, polishing and more. Alumina discs are suitable for grinding, deburring, welding/corrosion/paint/oxide removal, wood, metal, fiberglass, etc. Zirconia flat disc lock grinding wheels for stainless steel and aluminum as well as many other surfaces. The black sanding disc with honeycomb structure is suitable for stainless steel, aluminum, non-ferrous metals, plastics, fiber products, ceramics, stone, solid wood furniture, concrete surfaces, etc. If you have any questions, please leave us a message and we will reply as soon as possible. If you like our products, add them to the shopping cart now! 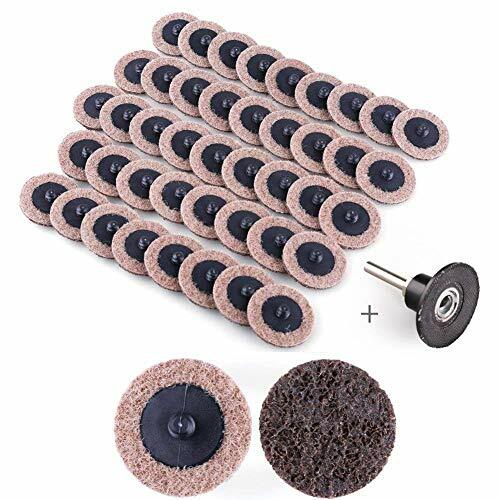 Package contains 15 silicon carbide sanding discs, 15 alumina discs, 5 zirconia flat disc locking grinding wheels, 5 black sanding discs, and 1 quick change disc (with handle). Silicon carbide sanding discs have high hardness and brittleness. Irregular breakage and collapse will occur during grinding, to make new edges and corners constantly to keep sharp. They will work well even on rough surfaces and the discs will maintain strong cutting forces and high performance over time during a long period. Alumina sanding discs for quick general grinding, deburring, welding/paint/oxide removal; zirconia flat disc locking wheels for stainless steel and aluminum and many other surfaces, zirconia alumina for extended disc life and super cutting performance. The black sanding disc provides continuous and uniform cutting force. The specially designed porous structure prevents dust from flying, no sparks or traces, with low noise. Quickly replace the disc, a unique safety torque screw can quickly replace the disc, simply twist the disc to remove or connect, very convenient. 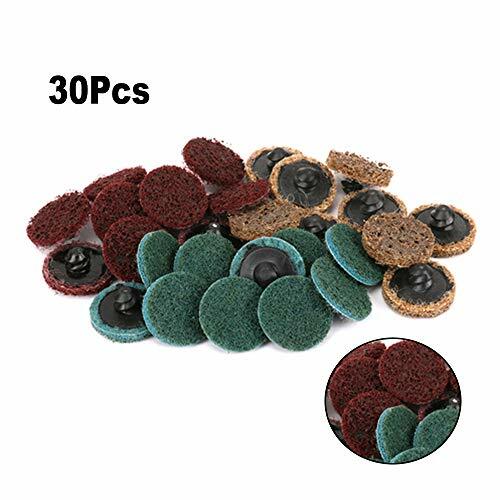 Made of high quality material, the abrasive has good wear resistance and long durability. Great performance in grinding and polishing effect. No damage to the surface of the object. Fit for most of 100mm angel grinders. Widely used for grinding and polishing the surface of steel, aluminum, copper, plastic, fiber products, wood, stone, concrete, etc. 2. Please allow small error due to manual measurement. Thanks for your understanding. LONG DURABILITY -- Made of high quality material, the abrasive has good wear resistance and long durability. POLISHING EFFECT -- Great performance in grinding and polishing effect, for use on wood, metal and fiberglass. SMOOTH SURFACE -- No damage to the surface of the object, remove rust, paint, scaling and oxidation effortlessly. ANGEL GRINDERS -- Fit for most of 100mm angel grinders, remover rusting rust metalworking protractor. WIDE APPLICATION -- Widely used for grinding and polishing the surface of steel, aluminum, copper, plastic, fiber products, wood, stone, concrete, etc. Benchmark Abrasives Zirconia quick change discs are an excellent choice for rapid stock removal on ferrous metals, stainless steel, and aluminum. The secure Type R (equivalent to the 3M Roloc fastening system) attachment runs these smaller discs at high speed. The reinforced Y-weight backing resists shredding under the demands of grinding and deburring to ensure maximum use of the disc until the abrasive is worn. Whether you're cleaning up a weld, deburring or just doing some general grinding, Benchmark Abrasives Quick Change discs are a great option. QUANTITY: This is a package of 25 Zirconia Quick Change Discs. APPLICATIONS: Zirconia discs provide a very good cut rate to cost ratio. They are the go-to choice on carbon/mild steel applications. You can also use them on stainless steel, aluminum and other alloys. USE: Our QC discs are made for use on a die grinder and should be only be used with the proper mandrel. 3 discs should be used with a 3 inch mandrel. INFO: Our discs are made with a special, self-sharpening zirconia grain that are designed for aggressive stock removal, enhanced surface quality and long life. Black Hawk Quick Change Clean & Strip Discs are the perfect tool for removing paint, glue and other adhesives, removing oxidation and scaling, cleaning weld splatter and flattening lines. Black Hawk has made an extremely versatile, metal cleaning and stripping abrasive for use on a die grinder. Grade: Medium Color: Maroon Grain Side - Maroon Back Side The Maroon discs are used for cleaning and finishing on all metals for removal of light rust, oxides and coatings. Combines with the quick "1/2 turn-on, 1/2 turn-off" disc fastening system Measures 2 Inch (50.8mm) diameter Maximum operating speed: 25,000 RPM Each box contains 25 discs Fits 3M Rowlock Pads 05539. For best results use with Sun gold # 99081 pad. 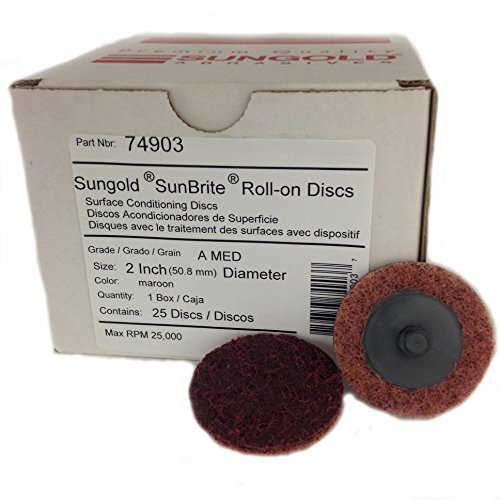 The Sunrise family of Surface Conditioning discs are a top choice for metalworking for cleaning, finishing, blending and debarring applications. Black Hawk Surface Conditioning Discs are the top of the line surface conditioning discs on the market today. 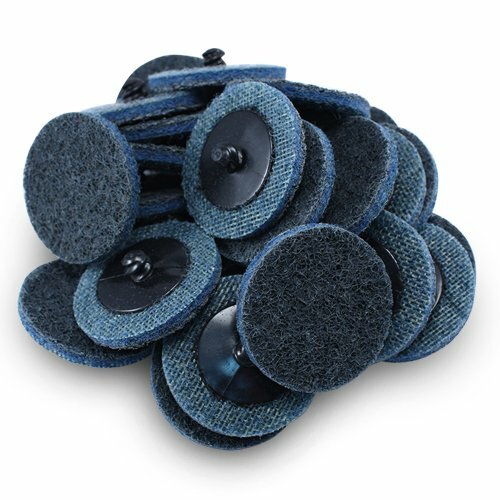 These discs are made up of an open nylon web (non-woven material) impregnated with premium abrasive grains and use a Type R - Male fastening system (Equivalent to the 3M Roloc fastening system). These discs are perfect for hard to reach surfaces and odd angles. The uses include: deburring and surface prep, gasket removal, coating removal, cleaning weld splatter, removing heat discoloration, blending and finishing, rust removal, etc. Black Hawk Quick Change Clean & Strip Discs combine the versatility and effectiveness of the angle grinder strip disc but now with a quick change, roloc backing and smaller size for additional flexibility and ease of use in tight area jobs. The strip it discs are made with premium blue nylon webbing which offers a longer life more consistent grind that the Black colored clean & strip discs. 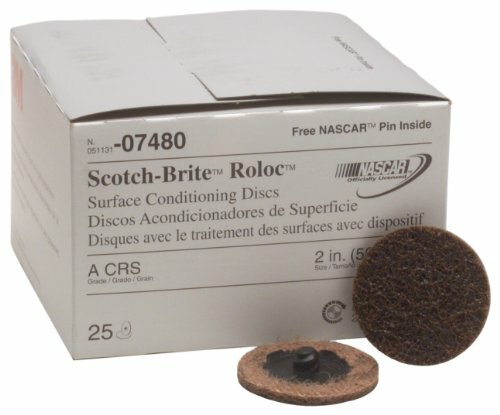 Scotch-Brite(TM) large area stripe removal disc stacked, solid wafer construction. Use on portable tool for fastest, easiest and most effective removal of tapes and adhesives. 8-inches diameter. Black Hawk 3 inch A/O Quick Change Discs are an extremely versatile abrasives. Black Hawk surface prepping discs are made with the highest quality Aluminum Oxide grains and use a threaded male, plastic roll on attachment for fastening (Equivalent to 3M Roloc fastening system). Looking to get into small areas to remove scale oxidation, paints, or waxes? Maybe you're cleaning up a weld, deburring, or just general grinding. Whatever the job Black Hawk 3" Aluminum Oxide Quick Change Discs are a great option. 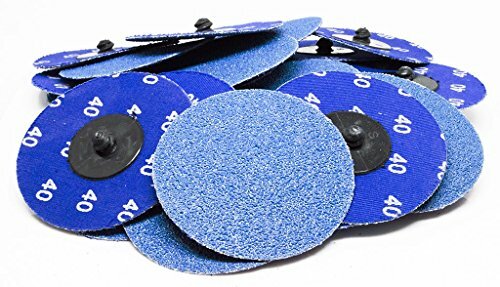 The uses for Benchmark Abrasives 2 inch A/O Quick Change Discs include but are not limited to: general purpose grinding, deburring, stock removal, cleaning up welds, removing paints, protective waxes and scale oxidation. 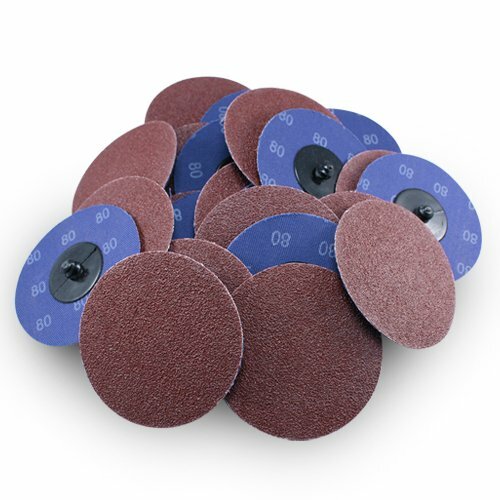 Benchmark Abrasives Aluminum Oxide Surface Prepping discs are made with the highest quality Aluminum Oxide grains and use a threaded male, plastic roll on attachment for fastening. Elastic grinding, self-sharpening grinding, cold cutting, anti-clogging, water-proof, oil-proof, safe, non-pollution. Suitable for Stainless steel, standard or alloyed steel, non-ferrous materials and alloys, plastic and fiberglass. Unique safety torque spiral, high abrasion resistance, fast grinding force and good durability. SiC(Silicon carbide) with high hardness and brittleness, irregular fracture and collapse broken happenes when grinding, resulting in new edges and corners to keep sharp. Sand disc based on special fiber as substrate with abrasive particles SiC pasted, has a open-mesh 3D structure, lead to better elastic and plasticity, suitable for different shapes of various objects. Quick heat dissipation to avoid overheating deformation or discoloration. Suitable for polishing high-quality metal such as shipbuilding, repairer, aviation, machinery such as automotive, motorcycle sheet metal coating, metal stamping, ect. Convenient attachment system which offers quick and easy disc change out for multi-step finishing processes. Ideal for surface conditioning and prep, paint and rust removal, sanding, cleaning, grinding, stripping, deburring, polishing, finishing, gasket removal, self-sharpening, scruff blending, and sticker removal and other adhesive removal. -These of 1" Type R surface discs are great for finishing applications such as smoothing, blending, debarring, polishing and more. -1" size perfect for fine detail work, for general cleaning metal or other surface, quickly remove rust and paint for refinishing. -These type R surface discs are good for the removal rust, residue of many kinds, oxides, paint and other coatings. -Threaded backs screw securely to the mandrel and allow for easy pad changes. -These 1" discs combine well with the 1" holder mandrel for drill, air tool, or other tools. Material: Non-woven ; Diameter: 25.4mm/1"
1 size perfect for fine detail work, for general cleaning metal or other surface, quickly remove rust and paint for refinishing. These type R surface discs are good for the removal rust, residue of many kinds, oxides, paint and other coatings. Threaded backs screw securely to the mandrel and allow for easy pad changes.